In part three of this series, you will learn about different type exhibits available for your international trade show program. It is more common for American exhibitors to own properties for trade shows in the U.S. but may need to rethink this practice when exhibiting overseas. Several options are available from custom fabrication, modular, system or “build and burn”, renting or owning should be considered when planning an international exhibit program. 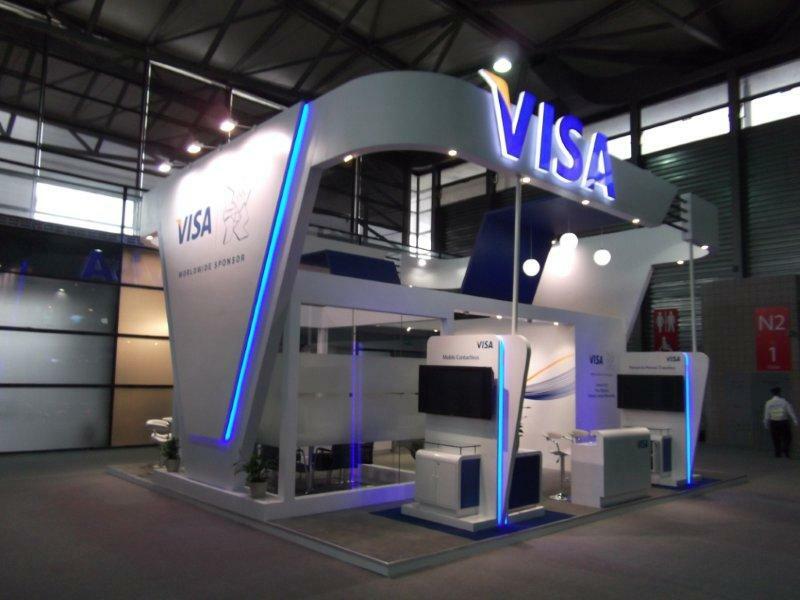 No matter where in the world you are exhibiting, the design is important to integrate with your marketing objectives. What do you want attendees to learn about your company? What type of experience do you want them to have, interactive, theatre presentation? Instead of having a badge scanned so information can be sent later, visitors to your stand are interested in building a relationship, learning about your company. For this reason, it is important to have some type of meeting area with seating, either informal or private conference room. If you want the same stand design for global branding, be sure to discuss this with your builder to determine what method will be best – system, custom or hybrid of both. When discussing the options with the builder, be sure to take into consideration how many shows will be done because in most cases, rental will be more cost-effective than owning and storing. The design is complete, either duplicating an existing design for branding consistency or adapting a style to blend in with the country where your show is located. Custom fabrication is possible in many countries but materials may vary in availability and price different from U.S materials so be flexible and ask the builder for recommendations. Laminate can be expensive while painted surfaces look good and sometimes considerably less expensive. System built stands are very popular around the world for a number of reasons. A system exhibit breaks down for easy transport and handling. Using system structures give great flexibility in design elements. Feature elements can be created with special lighting and graphics so your stand will not look like a shell scheme structure. With tension fabrics, the framework is scarcely visible at all with some systems. Contrary to the way it sounds, this choice is built for single use then discarded, not necessarily “burned”. This type of stand would be for single use at a show so it would most likely be built using painted finishes instead of laminate. For companies that exhibit several times a year in the U.S., owning and storing an exhibit in the U.S. can be cost-effective but may not be the best choice overseas. For example, storing an exhibit in Europe can be expensive due to lack of storage space. In some Asian countries, the exhibit would best be stored in a climate-controlled environment, which can be costly. If your company will exhibit once or twice a year throughout Europe, or other countries, then renting could be the best option. This information will help you make an informed decision as to what is best for your company’s international trade show program. In the next edition, you will learn about shipping options and taxes. If you want to talk about upcoming shows and want to talk more about these options, Email us or call 817-370-1400.